Viscous and black, Obsidian is naturally occurring volcanic glass used to sever tough cords both physically and symbolically. 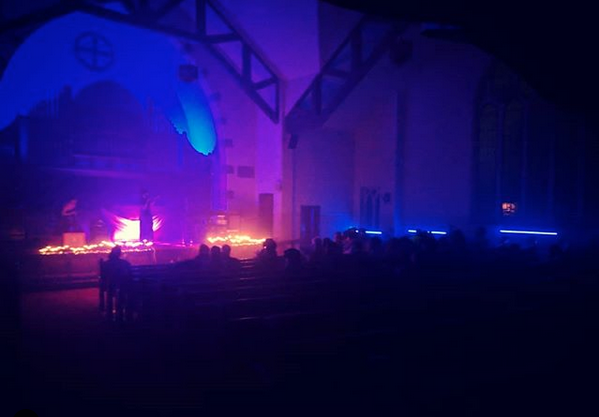 Taking the concept of healing through severance, sanctuary and sorcery, performances and experimental dance music were integrated into art installations and spatial transformations to queer the context of church cathedral as sanctuary. Obsidian was born out of the desire for an alternative nightlife option in Detroit, one with an intentional focus on healing, expression and transformation. This mix was commissioned for the Obsidian event and arranged by butch playlist curator.